Our client was faced with a common problem with early oak tables, where the stretchers running round the bottom of the table interfere with modern dining. i.e. we now use chairs instead of stools! So, together we bespoke designed the base frame of their new upholstered oak chairs, so they could be 'hooked' over the stretchers when not in use, as can be seen here. 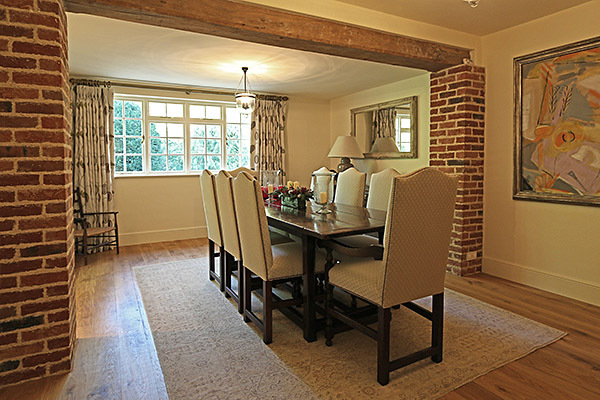 The result, together with their antique table, looks perfect in this period country house setting.